Firstly, can you please tell us what GCSEPod does? GCSEPod leads the way in GCSE subject knowledge, providing expertly written, highly concentrated learning and revision to reinforce and consolidate key topics for 20+ subjects on any device, on or offline. 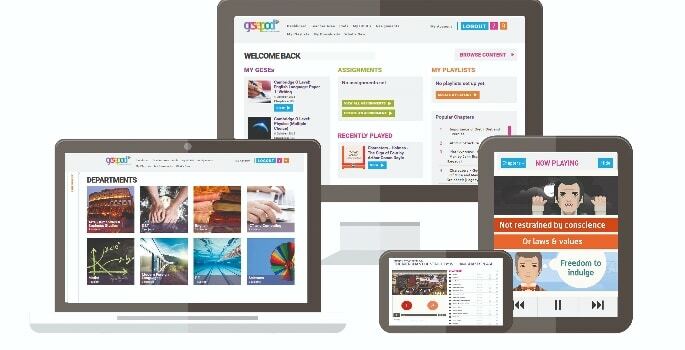 GCSEPod combines an extensive exam-board-specific question bank, automated intervention and personalised playlists to provide immediate feedback on impact and enable students to independently address their knowledge gaps. Its teacher tools speed up marking and planning, and enhance learning and teaching with assignment features and user analysis reports. What can you learn from usage data? GCSEPod provides a range of usage reporting tools, designed to fit the needs of each staff member. For a classroom teacher, the usage reports can show which students in their class are working independently and which are only completing set assignments (videos watched independently are marked for this purpose). Moreover, the detailed reporting tools can give insight into how a student is learning. For example, in one school a student was identified as only ever working at 12am. A discussion with them and their parents identified a healthier schedule. For department heads, the reporting tools can be combined with other student data such as EAL, Pupil Premium and gender, all of which can be imported via the school MIS. This higher-level analysis can be used to support targeted interventions on specific groups such as underachieving boys. Usage data can be easily compared with mock results and predicted grades. For senior leadership teams, the usage data can provide insight into where students feel they lack support (high-usage subjects can highlight a gap in student confidence) or show which departments are succeeding in their promotion of independent learning. Come September, usage data can be successfully combined with results to identify correlations and impact. How does GCSEPod help independent learning? GCSEPod engages students by using familiar devices to deliver learning in an impactful way. They can quickly create their own playlists and watch pods in or out of the classroom, on or offline – on their terms. They can study privately on any device at any time and anywhere. One teacher called us the “Spotify of education”! Teachers can set pods to watch before the start of a topic, so in the 3–5 minutes it takes to watch, the students are familiar with what is going to be delivered; enriching the lesson by priming the class first. How do you reassure teachers that you’re there to aid their work, not take it over? At the heart of GCSEPod is our content, and at the heart of our content is our writers. Over the 10 years that GCSEPod has been working, hundreds of hugely experienced and talented teachers have written, edited and checked thousands of video scripts and images. GCSEPod does not seek to replace the teacher, it aims to capture the enthusiasm, knowledge and experience of teachers and continue to provide that to students after they’ve left the school gates. For many students, the time they have with their teacher is limited, and so GCSEPod extends that student’s access to teacher-produced content in a way that’s accessible to them 24/7. For more on BESA, please visit besa.org.uk.